Carpet Padding Density: 6-pound vs 8-pound? Is there really a difference in 6-lb padding vs. 8lb padding? I am getting a home built and I choose the 8-lb padding. But will I be able to tell when walking on it, or is a 6-lb pad dense enough for a new home? Selecting the right padding is not a simple task and must be done right or you could accidentally void your carpet warranty. There are many factors to consider and you should not trust the carpet salesperson or retailer to select the right padding for you. The typical padding rating system defines the DENSITY of carpet padding in pounds. An 8-pound padding is less spongy and is stiffer to walk on than a 6-pound pad, which is a bit more spongier underfoot. 6-pound padding is usually dense enough for use with most residential carpet and falls within most carpet manufacturers' warranty guidelines. More homeowners prefer the 6-pound pad overall because they like their carpet to feel cushy. There's not much difference in price between 6 pound pad and 8 pound pad and in my ebook I reveal ways to upgrade your pad for free. In your case, it could save you some money to use the 6-pound pad since you are dealing with a builder. They typically force you to buy flooring through their high-priced sources and they get a handsome kickback for every upgrade you choose. Builder grade carpets are usually on the low end of quality so going with the cheapest pad is what I would do. You can buy a better carpet and pad after a few years and get something that you really like. Q. Buying Home with Berber Carpet? Having Berber carpet can be a big disadvantage for the seller and an advantage for the buyer. It's what you need to know about Berber that is important here. If you buy this house you have two options. Either keep the Berber or replace the Berber. Why would you want to replace the Berber you ask? If you have kids or pets you might want to replace it, or at least tell the sellers that you will have to have it replaced soon. Why? Berber carpets snag easily. Kids and pets will snag the carpet and can ruin it in a hurry. It doesn't matter what brand it is, or what style it is, they all snag. If you have kids or pets, you will end up wanting to replace the Berber before too long. Perhaps this is a good negotiating point. On the other hand, if you don't have kids or pets, and never plan to, then you might like having a Berber carpet. Here are some facts about Berber that no one else will tell you. Most Berbers are made of olefin; some are made of Nylon (better). Some have large loops some have smaller loops (better). Some have no pattern and some have a repeating pattern (better). So ideally, to determine the quality level of this Berber, a good grade of Berber will be made mostly of nylon, have smaller loops and a repeating pattern. That means if this Berber has large loops (they tend to fall over, mat down and look bad), made of olefin (a strong fiber but not very resilient), and no noticeable pattern, then it is probably a relatively inexpensive carpet. If the wrong padding was used, the carpet may stretch out prematurely and need to be re-stretched at some point. It is expensive to have this type of carpet re-stretched. Q. Soft Carpet for Growing Family? I am a new homebuyer. I would like carpet throughout a majority of my home (including the stairs). My family (which includes a 2.5 year old and a newborn) walks around barefoot all day everyday. So we would like our carpet to be as soft as possible, but also very stain-resistant as well. Can you please help me figure out the best carpet and carpet pad for my situation? I would like the carpet to last 10-15 years and I am willing to spend up to $30/yd. You really do need help because you are asking a lot and have a limited budget. As far as selecting the right carpet, there are a few good carpet choices that are within your price range that I discuss in detail in my Carpet Buying Guide. You must buy a durable carpet if you want it to last and you must follow my care and maintenance advice to the letter, but that's only the first step in a mandatory four part plan to be sure you get the whole job done right, including carpet selection, correct padding, professional installation and a good price. Q. Best Carpet for Heavy Traffic and Pets? I’m so glad I ran across your website! We're getting ready to invest in carpeting our entire house (about 2,000 sq. feet). My brother's builder (consistent high end Parade home winner) referred us to his supplier and buyer. He gave us a quote for carpet, pad, and installation for Mohawk's Horizon carpet. It's kind of like the frieze' (I call it a twist-short shag). I love it, but I do have kids and we show Dobermans. I don't have a housebreaking problem with the dogs and they are kept in our indoor kennel room 60% of the time, so they don't create excessive wear. My problem is that we have heavy traffic patterns. Our house is a typical ranch home that's about 20 years old (original carpet). You almost walk the same exact pattern every where you go. Is this a good traffic carpet and do you think it's a good price. I can't seem to find a durability rating for it anywhere. Trying to find it at Home Depot or Lowe's for a comparison is very difficult as they all have different names and colors. Any help is appreciated. I've never had to purchase carpet and it's so confusing! Thank you for being so helpful to everyone. I was relieved when I found you! P.S. Half of my sq. footage is basement. Would this be a good carpet for a finished very dry basement? Would you suggest a pad over concrete for the basement? I have Berber now and I hate it! I want something more softer and elegant as we use it for our family room, den and office (dog kennel is there too, but I will keep the Berber in that room). Wait! Don't buy anything yet! There is so much more you need to know. The frieze you mentioned would be all right for you if it were made of nylon. I suspect the carpet you have selected is a polyester. Inherently, a good quality frieze will tolerate a lot of abuse, but only when it is made from Nylon. A polyester (P.E.T.) carpet will mat down in a hurry, especially in high traffic areas and on stairs. My advice: Take your time and do your carpet homework! Buying carpet is so complex anymore, proper selection, correct padding, quality installation, accurate measuring, not to mention getting a good price is the four step process that all must be done right in order for you to be successful. Otherwise, you will end up not satisfied with the outcome and you will have lost hundreds or worse. In addition to all the useful information you'll read on my website, I am also here to answer all your carpet questions from start to finish. I run a Day Care in the lower level of my home. So the carpet gets a lot of traffic. Was thinking of a Berber but was told it would snag if the children would run toys across it. What would you suggest? We also use it for our own family so would like something that looks nice (not commercial). Looped Berber for you is a no-no! I know you say you don't want commercial carpet but your options are quite limited if you expect your carpet to last. I suggest you consider a shorter nap, cut pile, commercial grade carpet installed over hair pad. This type of carpet really looks nice! It will clean easily, last forever, tolerate a lot of abuse and it is reasonable priced. For the best price, stick with a basic style with no pattern. Get your hands on a copy of my book and you'll be sure to get the job done right from start to finish! Q. Best Carpet and Pad for Dry Basement? We just finished off our large basement and ready for the carpet. The basement is very dry and has never had any water. It will be heavily used for bedroom, game room, family room, home theater, pool room, and a weight room. I know from researching that nylon is the best way to go but not sure if I should go with textured plush or a commercial grade of carpet. I don't really want to use any glued down carpet and definitely not Berber. To have less seams we have to look at 15 ft goods. Also need to know what would be the best pad and weight of carpet to use. I am going to bookstore to try and find your book because I am hesitant to order on the computer. Your web site has been most helpful and I am sure the book would be well worth it. The padding requirements for textured plush are different from for a commercial carpet. I have a commercial carpet in my office/family room and it is great. I know I will get my monies worth from it, as it will last for 15 to 20 years. Textured plush that will last this long would cost about twice as much. You decide how long you want it to last and use that as your guide. Speaking of my carpet buying guide, you really need to do your carpet homework. Read through my websites or I offer a downloadable eBook that can help make your carpet buying decisions much easier and help you save money too. I love your website! If you could give us some general comments on our proposed Berber carpet purchase we would be most grateful. We are looking at buying 192 yards of Mystic Trace by Shaw. It is a DuPont Xtra life Tactesse, BCF Nylon, short looped Berber carpet. Face weight 46.8oz. Tufted pile height .437 inches. . Density is 4434. Total weight is 82oz. We are buying the carpet from a local family store in Houston. We are having this carpet installed over stairs. We are a little worried about the "smile" - a cracked appearance where the carpet bends. Will this be an issue? Can a good installer avoid this? Is this a good mid-grade carpet? We do have a kid and plan to have more but really love Berber. I'm afraid that your love of a looped Berber will soon turn into a disheartened relationship as your family grows. Not only do I often see the damage caused by children and pets on a frequent basis but I also get plenty of e-mails from folks with kids or pets who purchased a looped Berber carpet only to discover un-repairable snags and runs showing up all over the place. If you were older and all your kids were grown I would say a looped Berber style would be great choice, especially if it were made of nylon! But you are just going into the growing family zone where everything you hold dear will soon be ruined, stained, snagged, broken, lost, mistreated or mutilated. I know because I have raised 6 children. If you decide to buy a looped Berber anyway, there is a right way and a wrong way to put Berber on stairs. A good installer will know how to deal with the "smile" you mentioned by making sure the carpet nap runs the right direction. With Berber styles, the smaller the loops the more durable and less prone to matting the carpet will be. What Every Homeowner Needs to know about Buying New Carpet. Learn the Secrets to choosing the Right Grade of Carpet for your home. By Consumer Advocate, Carpet questions and answers, How to buy carpet, best carpet fiber, Best Nylon carpet, BCF nylon carpet, Best carpet stain treatment, Best carpet choice? 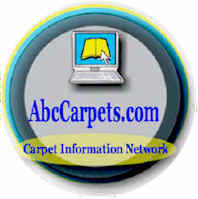 Best carpet to buy, Best carpet choice, Berber carpet choices.